"The New York Times stands by its story. Jeré reported what he was told. We reported the story correctly." 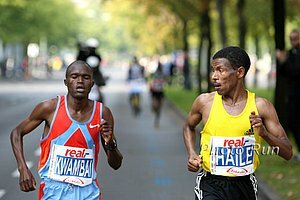 - Tom Connelly of the New York Times responding to LetsRun.com when asked for a reaction to the fact that Jos Hermens and Haile Gebrselassie said what was reported in Tuesday's paper contained falsehoods. As a result, many believe Hermens and Geb were strong-armed into going onto television to denounce the NY Times.